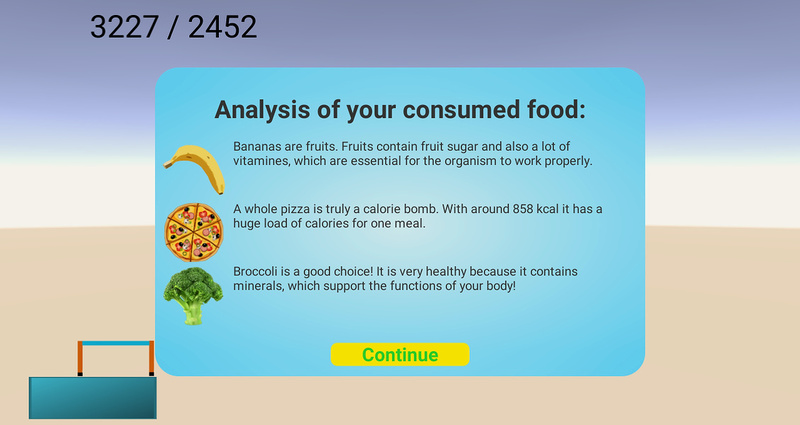 Fit'N'Run is an informational health game that teaches players basic knowledge of healthy nutrition. 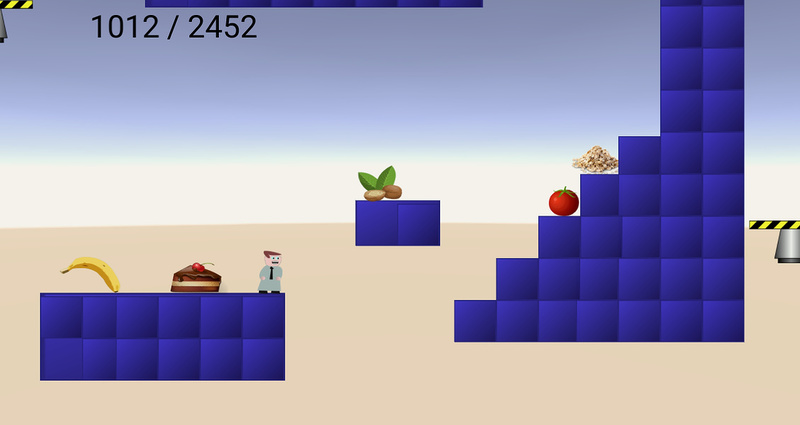 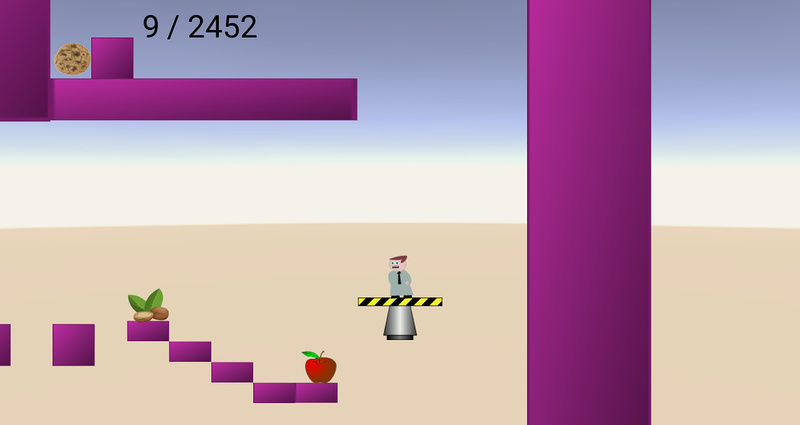 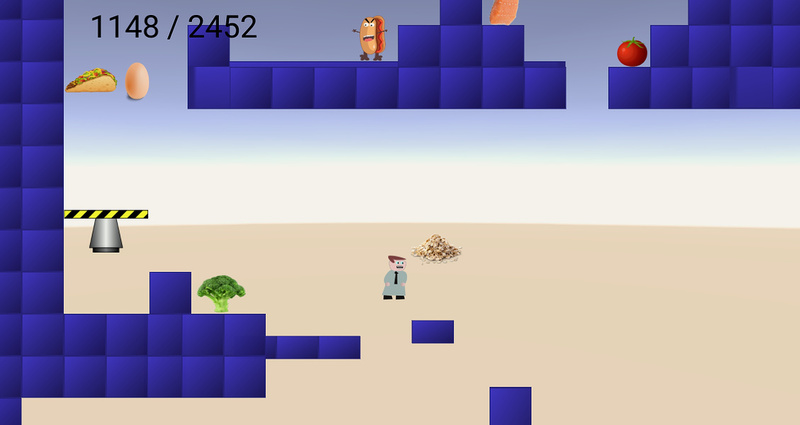 Modeled as a jump'n'run game, players have to collect various food items to satisfy their calorie need while avoiding unhealthy food such as the flying pizza monster. 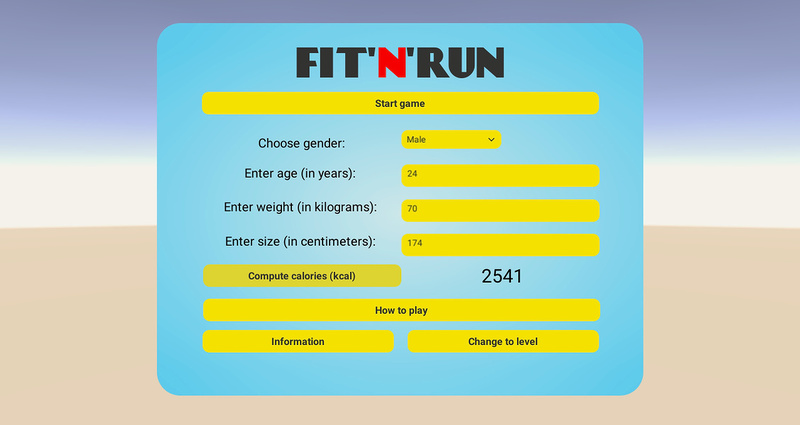 Fit'N'Run was created by Sher-Chan Kodirov as part of his bachelor thesis at the University of Mannheim under the supervision of Philip Mildner.